Exploding onto the southern California punk scene, Strung Out were one of the first bands signed to Fat Mike’s Fat Wreck Chords, issuing their debut album in 1994. It was the band’s sophomore effort however that truly proved Mike’s faith in the band was so very well placed. 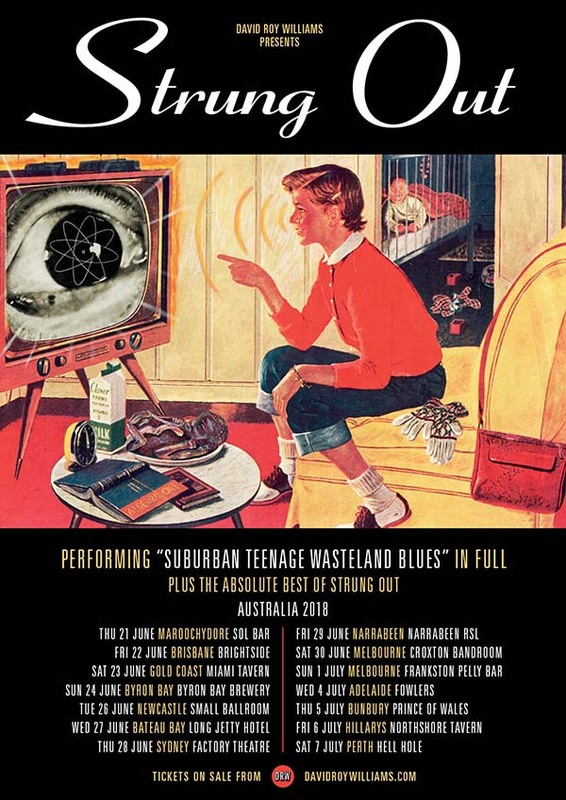 Suburban Teenage Wasteland Blues was thirteen chunks of socially aware punk speed pop metal riffage that guaranteed carnage every time the play button was hit on the dash. Hear these songs played live and you’re talking something else again - a veritable maelstrom of shoutalong moshing craziness resulting in ringing ears, sweat soaked tees and huge smiles on the faces of ecstatic fans. It wouldn’t be a Strung Out show without shotgun blasts such as Analog, Calling, Blueprint Of The Fall, Ashes and Matchbox. Yea verily the gods of punk have smiled upon the faithful with the promise of nothing but the best - a show jam-packed with attitude, speed, creativity and energy. Machine-gun drums, scorching guitars, hard-hitting basslines, and an in-your-face singer with more melodies than Top 40 radio - there's no-one like Strung Out and Suburban Teenage Wasteland Blues is one of the defining albums of the Californian punk scene. Don’t be an idiot... get tickets for this and get them now! All tickets from Oztix, except Sydney from Ticketek and Hillarys from Moshtix.